SwitchEasy’s Glass iPhone 7 case is designed to offer a stylish and fully matched way to protect Black Jet iPhone 7/7 Plus with its transparent glass design. Like the idea? Let’s keep checking. 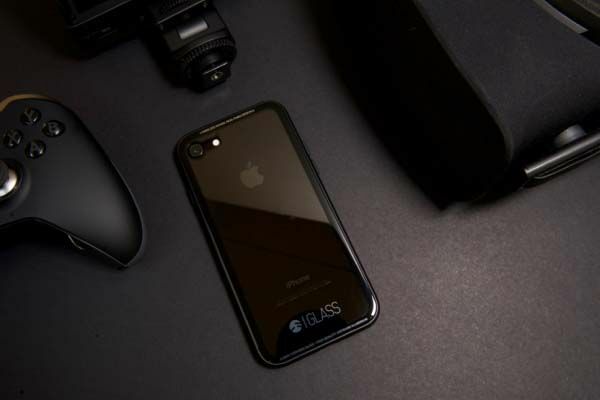 The GLASS is an innovative and well-designed full enclosure protective case dedicatedly designed for iPhone 7/7 Plus in black jet. As we can see from the images, the iPhone case shows off a sleek, ultra thin and minimal design. It’s only 2mm thicker than iPhone 7 plus solid black aluminum frame in order to deliver a perfect fit for your Black Jet iPhone 7/7 Plus. More importantly, the iPhone 7 case features a unique tempered glass back at 7H hardness and with optical transparency rated at 90%, so you won’t worry about the case covering the shining coating of the new phone, and it’s hard enough to prevent from getting scratched in daily usage. Moreover, computer milled curved glass makes the case like an exact extension of your phone, which delivers a more comfortable grip experience. 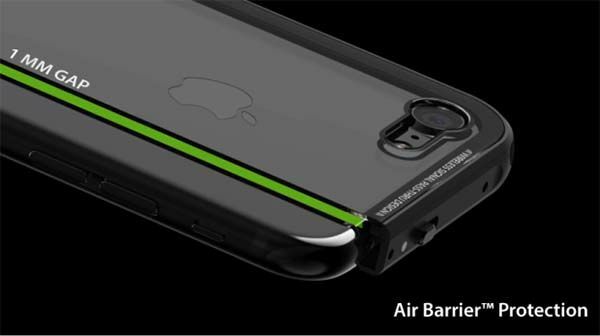 The glass iPhone case features Air Barrier Touchless technology that delivers a 1mm gap between the phone and the glass back. This means the black jet back of your phone will never get scratched from the case, and the gap also fully prevents the back from watermarks. In addition to protecting your handset from bumps and scratches, the glass case also features patent pending wireless signal pass through design. Using wireless pass through nubs on its four corners, the aluminum frame will never affect your phone’s wireless signal. Additionally, all iPhone buttons and Lightning port are accessible, and its patented lock-release mechanism lets you easily apply the case onto your phone or take the phone out of the case with one flick of the button. 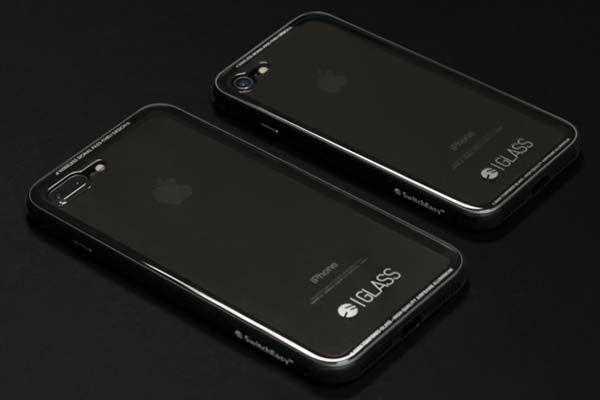 The GLASS iPhone 7/7 Plus case has been available for preorder via Indiegogo. Pledging $29 will let you own the tempered glass iPhone 7 case with a glass screen protector or its model for iPhone 7 Plus. Both models will be shipped this month.